Cover pencils by Gil Kane, inks by Jim Mooney. 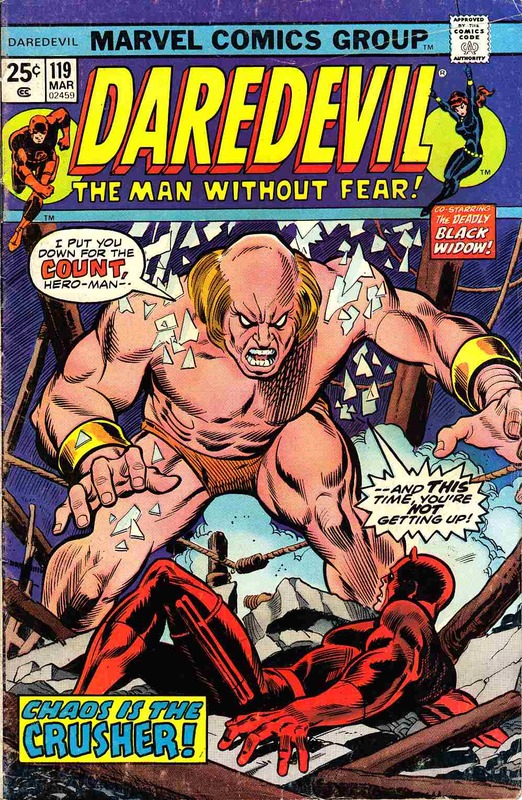 First appearance of the new Crusher in They're Tearing Down Fogwell's Gym!, script by Tony Isabella, pencils by Bob Brown, inks by Don Heck; DD battles a boxer who has enhanced himself with the power of the Crusher in the gym where his father trained; cameos by Iron Man, the old Crusher, the Fixer, and Battlin Jack Murdock. *Penciled price on back cover top edge. Light soiling on back cover.